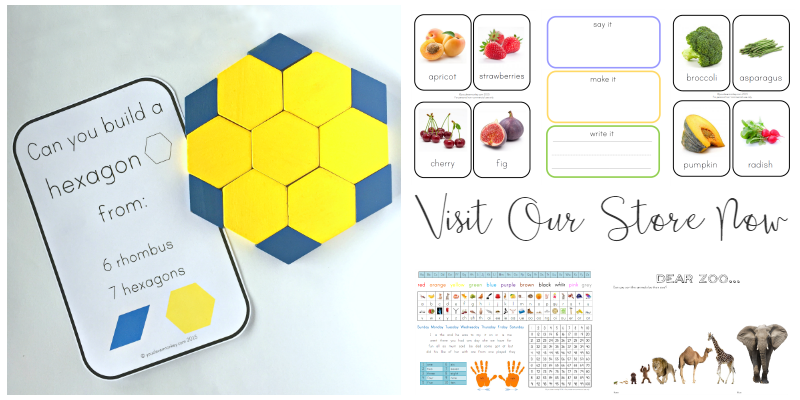 We've been exploring 2D shapes in class these past few weeks and I love being able to do cross-curricula activities. 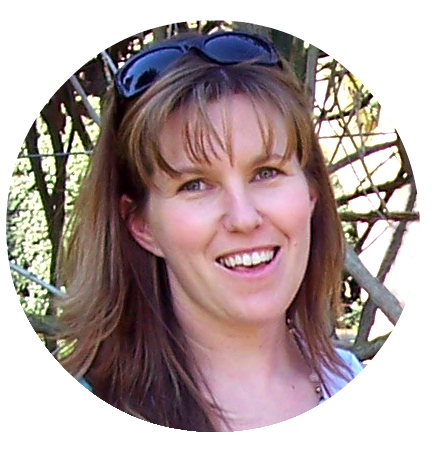 How else do we fit everything in the curriculum into a school day? 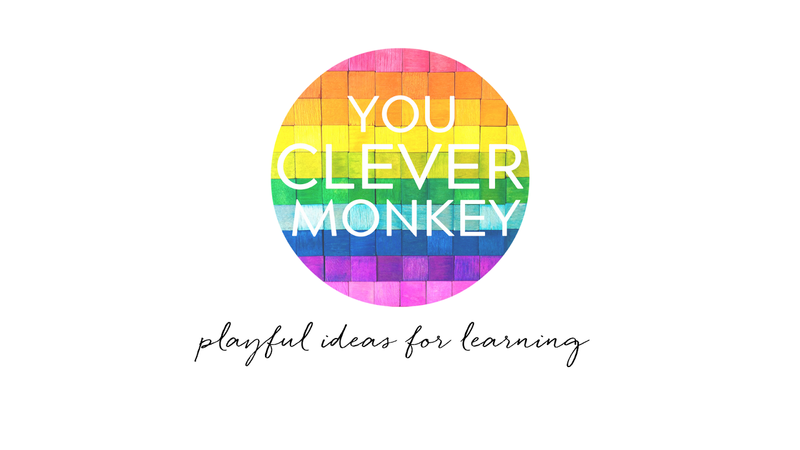 For this reason you'll often see us painting during English or making boomerangs in Science or trying to make the tallest box tower in Maths. 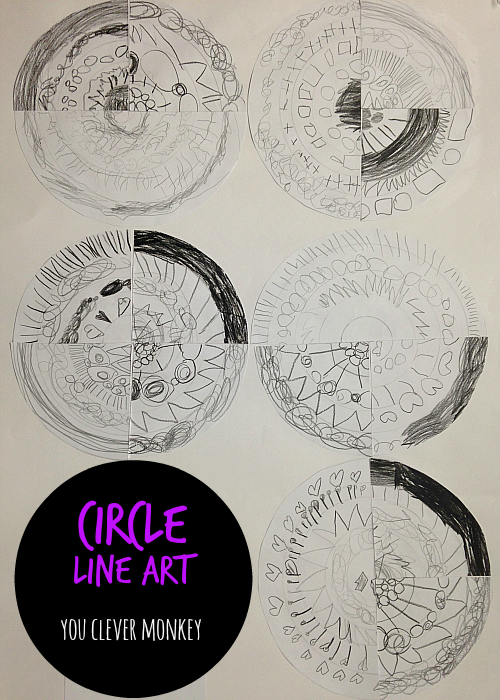 Last week brought together a few different concepts we'd been looking at into one art project - our circle line art. In English and Maths we have been focusing on line and their different shapes. Last year I'd made these line rocks to help children identify different lines - straight lines, curved lines or maybe lines that are both curved and straight. I've used them now to intentionally teach correct letter and number formation in handwriting lessons. We've used them to make shapes - regular and irregular. And most importantly, we've played with them and let the children show us how they should be used in their minds. We've also been looking at flat shapes like circles, squares, rectangles, triangles, pentagons, hexagons and so on. 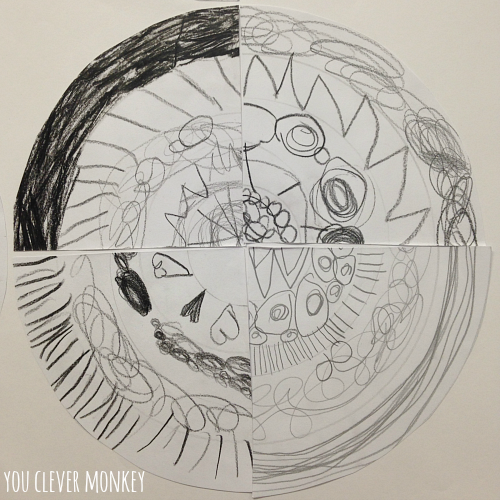 Hunting for the different shapes in our classroom, we found very few circles so rather than print out one from the computer to hang up I thought it would be a great opportunity for us to make some to display in our class and combine it our growing understanding of lines. To start, depending on the age of your children, you will need to pre-draw some circles on a large piece of heavyweight paper (we used cartridge paper so as to withstand any heavy-handed drawing). I used a cheap compass I'd bought from Big W. I opened it to its fullest and drew a outline of circle then drew several more circles within the first gradually making them smaller and smaller. 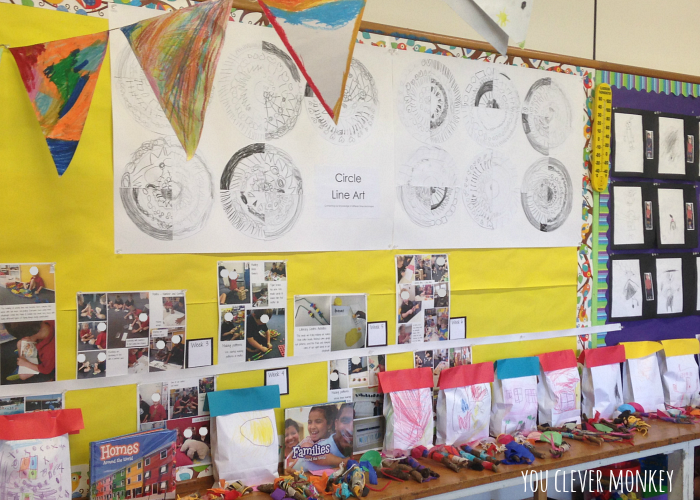 The children were then asked to fill each circle with different lines - straight, curved or a bit of both. 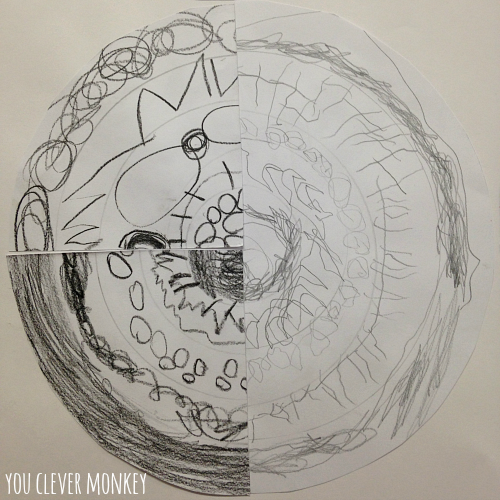 Even those children whose fine motor strength and control is still developing, successfully filled their own circles as you can see from the right side of this circle. 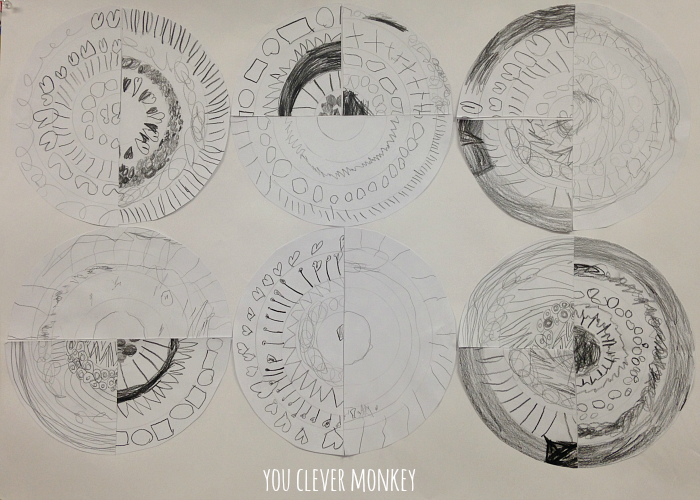 To make the work appear more collaborative, I cut their circles into halves and quarters and then mixed them together to remake the circles to display in class. I think they did an awesome job!